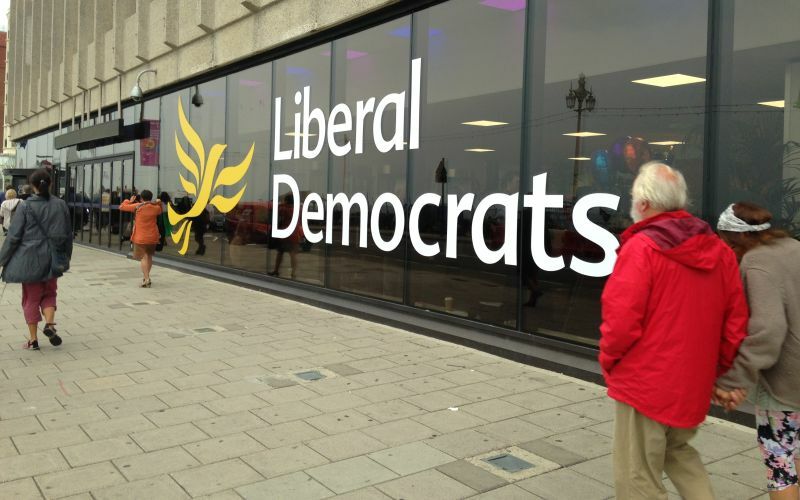 Liberal Democrats have voted for a new social security policy that will scrap the “fitness for work” test and all benefit sanctions, despite many disabled party members calling for a more radical approach to welfare reform. The vote at the party’s annual conference in Brighton (pictured) means that scrapping the work capability assessment (WCA), all benefit sanctions, the personal independence payment (PIP) 20-metre rule, the bedroom tax and the benefit cap are all now party policy. Members were voting on a policy paper that called on the party to devolve the provision of employment support to local authorities, which would also be asked to deliver – or contract out – the eligibility test that replaces the WCA. This replacement test would introduce a “real world” element into the assessment of eligibility for out-of-work disability benefits. The policy paper, Mending The Safety Net, called for the benefit sanctions system to be reformed so there was “greater scope for discretion with a stronger safety net to prevent sanctions causing extreme hardship”. But party members voted strongly in favour of an amendment that said benefits sanctions were “fundamentally wrong and leave people destitute who are already in poverty”, and should be replaced with a scheme that provides claimants with incentives to engage with the system, rather than punishing them when they do not. The motion, as amended by the call to scrap sanctions, was carried by 363 to 202 votes, and now becomes party policy. Before the vote there were suggestions that some disabled activists may quit the party if the motion was carried, because they did not believe the policy paper put enough distance between the Liberal Democrats and their former coalition partners in the Conservative party. But so far that does not appear to have happened. The disabled Liberal Democrat peer Baroness [Celia] Thomas, the party’s new work and pensions spokeswoman, told the conference that the policy paper was “thoroughly well thought out” and “an innovative, practical and humane roadmap for the sort of welfare system we want in this country”. She said: “Don’t be fooled into thinking that this makes the paper just tinkering at the edges of the current system. Jennie Rigg, who chairs Calderdale Liberal Democrats, spoke against the motion, saying that benefit sanctions were “unjustifiable, inhumane and immoral” while the motion was “fundamentally flawed” and “mired in coalition policy-think”. She said that devolving assessments to local level was “not going to make them any better”. After the vote, she said on Twitter that the new policy was “tinkering at the edges of the benefit system and keeping most of the Tory bull***t in place” and that she was “utterly devastated that lib dems voted for it”. Lib Dem activist Sarah Noble, also arguing against the motion, said: “We must be forward-thinking, not sliding backwards into this coalition-think. But Lord [Jonny] Oates, who was Nick Clegg’s chief of staff throughout the coalition, and is the party’s former director of policy and communications, argued against scrapping sanctions. Matthew Clark, a disabled party member making his first speech at conference, who supported the motion, said the Tory benefits system was “creating a sticky web, trapping and entrenching vulnerable people who can be and deserve better”. He said he had “wasted valuable time not developing myself but learning how to jump through hoops” to secure the support he needed, while he said he had faced a “long battle” to regain his benefits after they were removed, in what he said was a “centralised and impersonal” system. He said that many disabled people feared the “complex” benefits system and were afraid to even ask simple questions of DWP in case they were sanctioned. But he opposed calls to scrap sanctions completely and backed a failed bid, through another amendment, to retain the benefit cap at a level equal to average household earnings. Former Lib Dem MP Jenny Willott, who chaired the working group, said she was “very proud” of the policy paper, which she said had “strong policies and a Liberal heart” and was “radical” and would “enable us to campaign for a fairer benefits system now”. She said that one of the “most important and bold measures” was the scrapping of the WCA. Arguing against banning sanctions completely, she said that some charities had told the working group that placing conditions on receiving benefits “can have a role in ensuring vulnerable people engage”. George Potter, the disabled activist who was a member of the working group that drew up the paper, and was a key critic of the impact of austerity policies on disabled people while the party was in coalition, told Disability News Service (DNS) after the debate that he was “disappointed that the motion went through, even though it has been amended to commit us to abolishing sanctions”. He said: “It doesn’t go anywhere near far enough in tackling the failure of the welfare system around disability issues or to offer a coherent vision for the future of the welfare system generally. “However, the reactions from the floor during the debate make me optimistic that there is plenty of appetite for this topic to be revisited at a future conference and I’m now going to be working with a broad coalition of party members to bring something better to a future conference. Among the reforms he had wanted to see was for both ESA and PIP to be scrapped, and replaced with a disability pension for those unable to work, which would provide them with a decent income – similar to the system in Germany – and a new additional living costs benefit for disabled people. He said this would focus more on providing the necessary support for disabled people and less on how to ration it.